Issue Notes: Appearance noted by Logan Peterson. 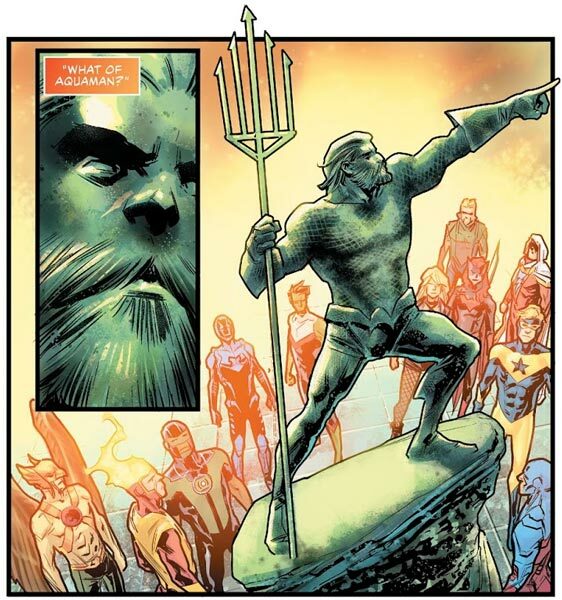 Booster Gold joins other heroes at the dedication of a statue in memory of fallen Justice Leaguer Aquaman. 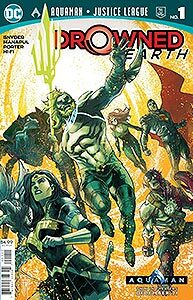 Also present are, from left to right, Hawkman, Firestorm, Green Lantern (Simon Baz), Blue Beetle, Beast Boy, Black Canary, Green Arrow, Batwoman, Shazam, and Atom. Batman, Superman, and Flash are presumably present off panel. This is Booster's only appearance in this issue.